We’ve just rolled out a major overhaul of our DNS management interface. We hope that you’ll find the new interface faster and easier to use. 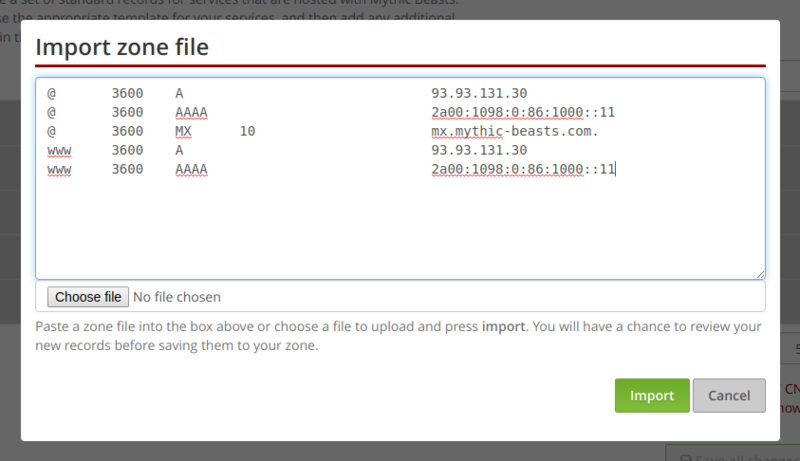 As well as improvements to the user interface, we’ve also added the ability to import zone files. 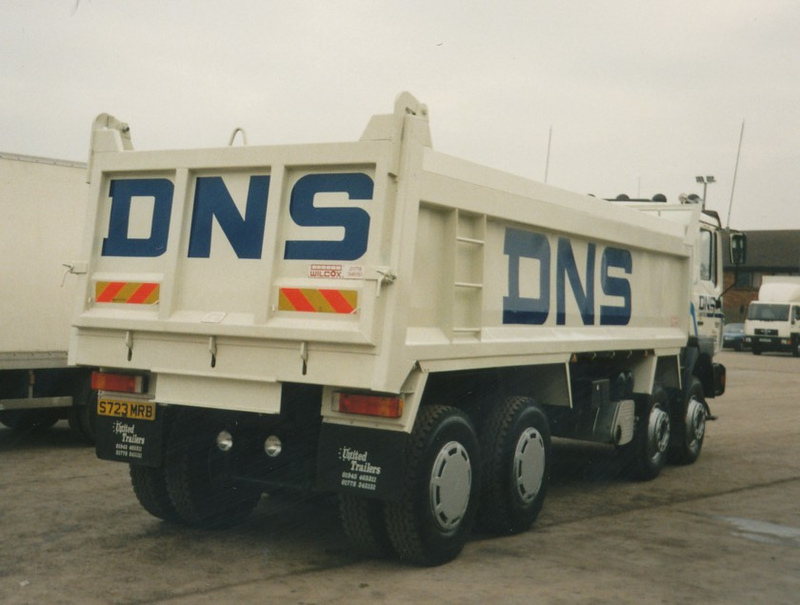 This means that if you’ve got a domain that is currently hosted with another provider, you can now easily transfer all of your DNS configuration to our servers in bulk (provided that you can get them to give you a copy of your current zone file). 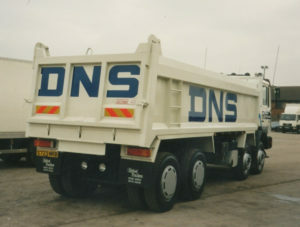 Our DNS management interface is included with all domain registrations. It’s also available for domains registered elsewhere for customers of our other services, including hosting accounts, virtual servers, dedicated servers and Raspberry Pi servers. The DNS interface includes DNS API access, allowing you to support dynamic DNS and to automate other DNS management tasks. We believe in retaining customers through good service rather than lock-in, so naturally there’s a corresponding zone file export feature. Sensible people don’t like to hard code IP addresses in lots of different places in DNS. Better to assign it a name, and then reference that name, as it makes it clearer what’s what and if you ever need to change that IP, you’ve only got to do it one place. CNAME records can be a good way to do this, by aliasing a DNS name to an IP. Unfortunately, the DNS specs prevent you using CNAMEs in various places that you might want to, most commonly at the root-level of your domain (the dreaded “CNAME and other data” problem). This is where ANAME pseudo-records come in. They look just like a CNAME record, but rather than being added to the DNS, our server converts them into A and AAAA records. This allows you to get the benefits of a CNAME in places where a CNAME is not legal. proxy.mythic-beasts.com. 3600	IN	CNAME	 rproxy46-sov-a.mythic-beasts.com. proxy.mythic-beasts.com. 3600	IN	CNAME    rproxy46-hex-a.mythic-beasts.com. Sadly, the spec says you can’t do that, but thanks to a minor tweak to our DNS control panel code, you can now do it with ANAME records. Simply specify multiple ANAME records for your host name, and we’ll go and find all A and AAAA records for all of the hosts that are referenced. Thanks to @grayvsearth for the suggestion on this one. ANAME records are available in our DNS management interface, which is included with all domain registrations, and available for free on other domains for customers of other services. Other features include a DNS API, allowing you to obtain Wildcard Let’s Encrypt certificates. The art warehouses in Amsterdam look much prettier than the data warehouses. Back in July 2018, Mythic Beasts acquired Bhost, giving us additional virtual machine (VM) clusters in London, Amsterdam and California. Today we’re pleased to announce that we’ve deployed a substantial new VM cloud to Amsterdam, running our own VM platform. Virtual machines in Amsterdam are available to purchase immediately through our website in sizes from 1GB/1vCPU to 160GB/12vCPUs, and with both SSD and spinning rust disk options. Server management and backup options are also available. Thanks to Brexit-related regulatory uncertainty, some of our existing clients informed us that they must be hosted outside of the UK before 29th March. Deploying capacity on our own platform in Amsterdam means that we can migrate virtual servers directly to the new location. Once we’ve dealt with the immediate Brexit-driven server moves, we’ll be looking at migrating former-Bhost VMs into this new cloud, giving a significant performance boost in the process. Deploying the Amsterdam VM cloud is a significant milestone in the integration of the Bhost infrastructure into our own. The integration provides improved performance and redundancy for both Mythic Beasts and Bhost customers whilst simultaneously cutting our operating costs. In preparation for this, we completed upgrades to our core network last October. The existing fibre ring around our three main London sites, which is currently lit at 50Gbps, is now complemented by a 10Gbps ring around London (HEX) ⟺ Cambridge ⟺ Amsterdam ⟺ London (MER). This replaces the old 2x1Gbps connectivity from Cambridge to London with diverse 10Gbps feeds to London and Amsterdam. Our network has gained an additional 10Gbps transit in Amsterdam (NTT) and we are also now connected on the Amsterdam Internet Exchange (AMS-IX). On a trip to deploy new routers, Pete even managed a tour of the city on foot in just over three hours. Primary reasons for choosing Amsterdam include being a flat country that’s easy to cycle around, a remarkably nice overnight ferry journey and superb boy bands asking us to stay. Secondary reasons are all boring such as a well developed market for data centres and internet transit, a world class internet exchange and remarkably few insane British politicians. We’re looking forward to the first Anglo-Dutch cricket match. 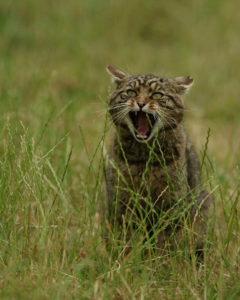 Wildcard… sounds a bit like wildcat… cat pics! We’ve just made some changes to our plugin for dehydrated in order to better support Let’s Encrypt wildcard certificates. Unlike normal certificates, which can be obtained using a web-based challenge, Let’s Encrypt’s wildcard certificates require a DNS-based challenge. In other words, you need to prove that you can control the DNS for the domain for which you are requesting a wildcard certificate. 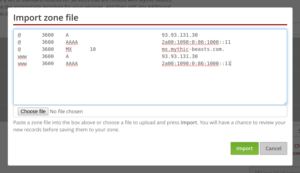 Mythic Beasts provides a simple API for controlling DNS, which makes it possible to automate the process of responding to these challenges, and we provide a plugin for the popular dehydrated client that does just this. We’ve just deployed a minor change which means that it’s now possible to obtain a single certificate for a domain, and a wildcard under that domain. Access to our DNS API is included with all domain registrations. For more information, please see our instructions on using DNS-based challenges wih Let’s Encrypt. 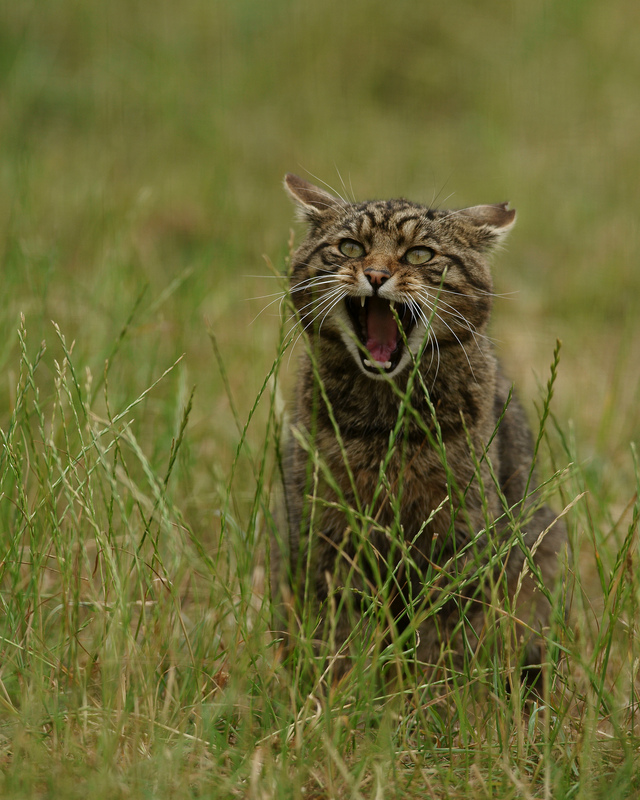 Please note that in order to obtain wildcard certificates you need to be using dehydrated version 0.6.0 or later. Our pet wyvern was hungry again. We’re pleased to announce that Mythic Beasts has acquired VMHaus, a virtual server provider with facilities in London and Los Angeles. We will continue to run VMHaus as a separate brand selling low-cost, prepaid virtual servers, which we believe will complement our own virtual server products well. We’re also pleased to announce that VMHaus co-founder Basil Fillan has joined Mythic Beasts as a full time employee. Basil has been responsible for the development of the VMHaus technical infrastructure, and will be ideally placed to help us provide support to VMHaus customers. In the short term, VMHaus customers will see no changes to their services. Payments and invoicing will continue to be through VMHaus Ltd, and we will continue to accept new orders for VMHaus products. In the medium term, we’re planning improvements to both the VMHaus platform and our own virtual server infrastructure, based on our combined experiences of developing the two systems. On the VMHaus side we hope to be able to start selling virtual servers in Amsterdam early in the new year, and also be able to offer IPv6-only virtual servers at a discounted rate. VMHaus customers will also be able to take advantage of our other services such as domain registration and backups. On the Mythic Beasts side, we expect to be able to offer service upgrades thanks to the economies of scale resulting from the acquisitions of VMHaus and of BHost this summer. OpenWRT is awesome, as it allows you to run proper Linux tools on your home router. I’m currently using a very old, underspecced TP Link box, with 32MB of RAM, but just 4MB of flash storage. This is just enough to get what I need installed, but one thing I’ve always wanted to do is use iftop to quickly see what’s using all the bandwidth. Unfortunately iftop, with its dependencies on libpcap and libncurses, just won’t fit into a 4MB image. I recently stumbled across opkg’s install-to-RAM option, allowing me to use the 32MB of RAM to install the package, with the minor and obvious downside that it gets uninstalled when the router gets rebooted. For something like iftop, which is used for ad-hoc diagnostics, this isn’t a big issue. Fortunately I do have enough free space on flash storage to store the above script. Obviously a similar approach could be used with other packages that are only needed “on demand”. An attack so simple my cat could get root on your server. Managed customers of Mythic Beasts with libssh installed will have just received a notification that we updated it without warning or testing. This is obviously bad practice, so what were we thinking? libssh -> can you authenticate? This is completely secure, unless the client is prepared to lie in order to exploit your system. In the late 1990s some of our founders might have once exploited an online quiz in exactly the same way to get perfect scores. Don’t trust the client. In our risk analysis, the risk of breakage to a customer site though a botched patch is vastly lower than giving an attacker a root shell, which is why we pushed an emergency update within a few hours of updated packages being available. At Mythic Beasts we rotate staff members around different roles. This is to protect the company from the unlikely event that a staff member is abducted by aliens and someone else has to take over at short notice. With great sadness we have to report that Toby Goodwin, our first full time employee was not abducted by aliens. Much worse, he had an undiagnosed asymptomatic heart problem and passed away unexpectedly and painlessly last week. Back in 2010 Toby had been running a bookshop in Cambridge with a quirky and eclectic selection of books. 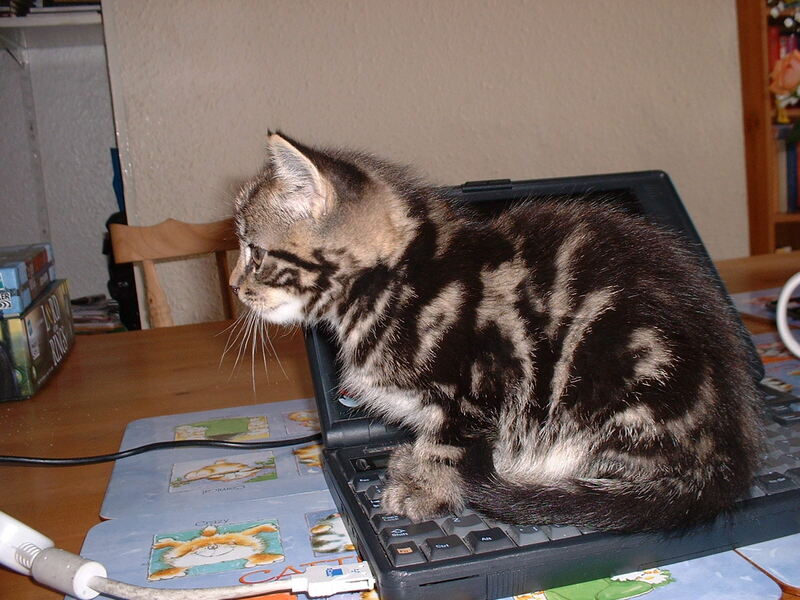 That business had come to an end and Toby was wondering about dusting off his UNIX skills and looking for work. At the same time Mythic Beasts had grown too large for the two then-active founders to effectively keep up and after an interview over a beer in the Devonshire Arms, Toby joined Mythic Beasts. We didn’t initially realise how lucky we were because Toby had the perfect blend of skills. An experienced UNIX hacker from his days at Cygwin, he quickly figured out most of the technical operations to keep Mythic running. Meanwhile his experience at the bookshop gave him incredible patience and empathy for confused customers. He took it on himself to continuously improve our operations introducing radical new ideas like helper scripts having consistent names to make them easy to find, continuous integration and automated testing of our control panel. Toby implemented the bulk of our managed server update system. When he started, we had tens of managed customers and updating packages was starting to become time consuming. Gradually this became a highly reliable and flexible system which means we can audit and update thousands of servers quickly and efficiently, whilst correctly notifying every affected customer in a timely fashion. Toby was always modest about his achievements and never suffered from being defensive about his code. When our summer students discovered a significant security flaw in a piece of configuration, he congratulated them and worked with them to resolve it quickly. After working with us for a few years in Cambridge, Toby met Heather and moved with her to her native Scotland where they married and brought into the world a highly reliable early morning alarm clock called Zachary. Toby would regularly work early in the morning before taking some time out to deliver Zachary to nursery or work with him on significant structural engineering projects. 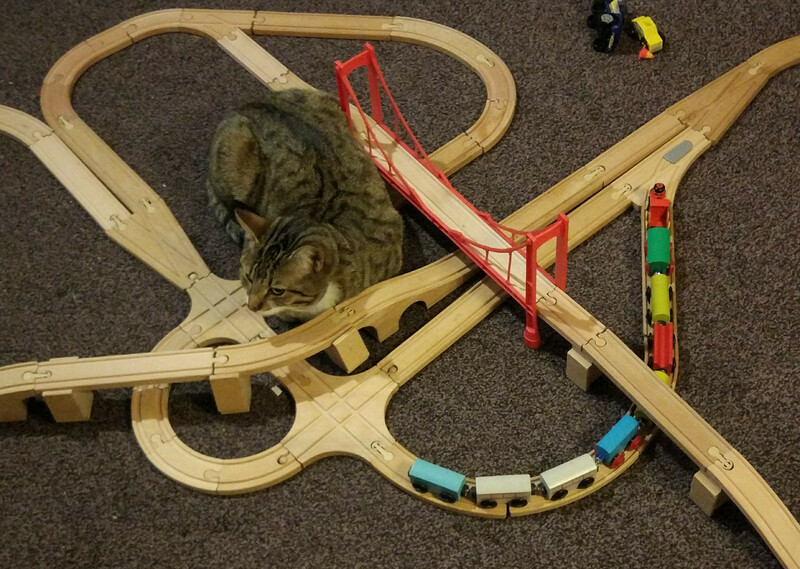 In addition to being a skilled software developer, Toby was also a brilliant railway engineer in the face of feline opposition. Goodnight Toby. We’ll miss you. 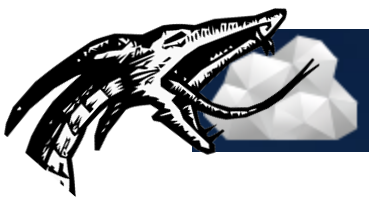 Having a hungry Wyvern in our logo makes eating other companies much easier to draw. Hot on the heels of acquiring Retrosnub, we’ve also bought the customers and assets of BHost. BHost are a virtual server provider with services in London, Amsterdam and California based on OpenVZ and KVM. We’re excited about this acquisition as it provides us with a great opportunity to expand our network using BHost’s Amsterdam infrastructure. At the same time, we’re confident that we can provide some immediate and longer term improvements to the BHost service, not least through our larger support team being able to offer more timely and helpful responses to customer queries. Although handover officially happened today, BHost customers have had access to our control panel for several weeks, mostly so that we could start tackling EU VAT bureaucracy. BHost are a US-registered business. We’re a VAT-registered business in the UK. Thanks to VAT MESS, it’s actually much harder for us to sell to EU-based consumers than it was for BHost, as we’re required to collect an unreasonable amount of evidence of customer location. The good news for BHost customers is that we’re matching BHost’s current pricing with our UK VAT-inclusive price. This means that EU VAT-registered businesses, and all non-EU customers will see a significant reduction in the price that they pay. If you’re a BHost customer and you’ve not already done so, please log in to our customer control panel using your BHost username (email address) and password and confirm your contact details. 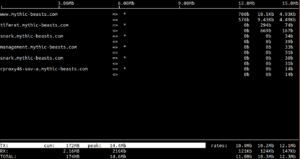 BHost run a network from London/Amsterdam with multiple 10Gbps uplinks and some peering in each site. We will be moving the BHost London network behind our own so that BHost customers can take advantage of our larger capacity uplinks and significantly better peering arrangements, which includes transit-free connections to every major UK ISP. We’re also taking the opportunity to significantly improve the connectivity to our Cambridge data centre. We currently have two uplinks via different London data centres. We will replace one of these links with a direct connection to Amsterdam, and bring both up to 10Gbps. Combined with BHost’s existing London/Amsterdam connection, this will create a 10Gbps ring around London, Cambridge and Amsterdam, complementing our 50Gbps ring around our three London sites. This will provide increased bandwidth and improved resiliency for our Cambridge customers, whilst also providing a second London/Amsterdam link to improve resilience within the BHost network. 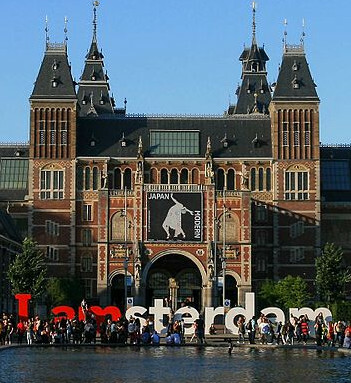 BHost Amsterdam customers will gain direct UK connectivity through our extensive London peering. We will gain the Amsterdam Internet Exchange connection (AMSIX) from BHost, bringing improved European connectivity to all London customers. We expect to be able to substantially increase the number of AMSIX peers, improving EU connectivity for all customers. BHost’s London presence is in the Meridian Gate (MER) data centre. We already have a significant footprint in MER, although it’s not currently available as a zone in our public cloud. We’re investing in new hardware to deploy in Meridian Gate which is both substantially faster and more power efficient than the current hosts. We’ll be deploying this into our existing suite in MER, and then migrating BHost servers into it. BHost customers will see a small window of scheduled downtime as we migrate each server, but should then seen significantly improved performance on the new hardware. Our Amsterdam and US presences will give additional options to customers that need to be physically hosted within the (post-Brexit) EU or US. We expect this to become more relevant after Brexit when the UK and EU may have diverging regulatory requirements. All BHost customers can now take advantage of additional Mythic Beasts services including management services for virtual servers, domain registration and DNSSEC-enabled, API-backed DNS hosting. Mythic Beasts have a larger support team and we’re very well placed to provide significantly improved customer service to all of our new customers. Of course, we do expect the period immediately after the transition to be very busy as customers become familiar with the new billing arrangements, and we get to grips with supporting BHost’s services. We will have additional staff during this period, but please be patient if support responses are a little slower than usual. 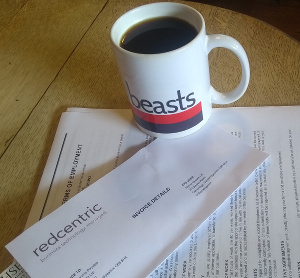 Invoices, contracts, cheques and a free company mug. We’re looking to expand our team by employing a part-time finance and administrative assistant for between 12 and 20 hours a week. The duties of the role will likely include dealing with invoicing queries from customers, reconciling bank transfers with invoices, uploading receipts to Receipt Bank and Xero, chasing up overdue invoices, dealing with some paper mail to the company, taking cheques to the bank, filing paperwork and keeping a calendar of administrative deadlines. Previous experience in a similar role is desirable, as is experience with Xero accounting software. Mythic Beasts don’t have an office, so the job primarily involves working from home. We’ll provide you with a laptop and cover reasonable home-working expenses. Hours are flexible, but we would normally expect you to be available in Cambridge on Wednesday afternoons. You will be entitled to 30 days of holiday a year plus bank holidays, pro rata for the hours worked. Salary is subject to experience. You will be eligible for company health insurance and membership of our employee share scheme after the qualifying period. If you’re interested or would like to know more, drop us an email.